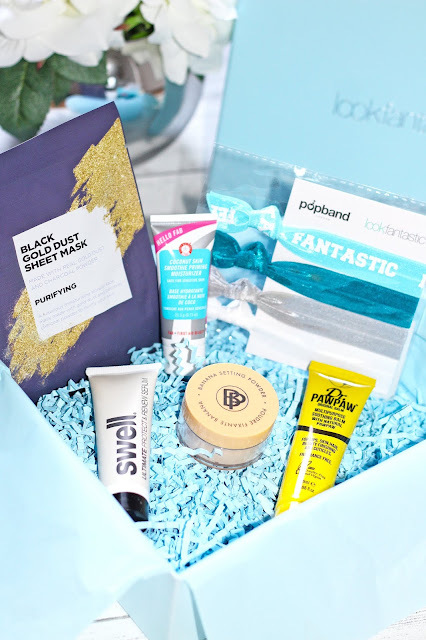 Carrying on my Beauty Box Series, this is the third one in my review. 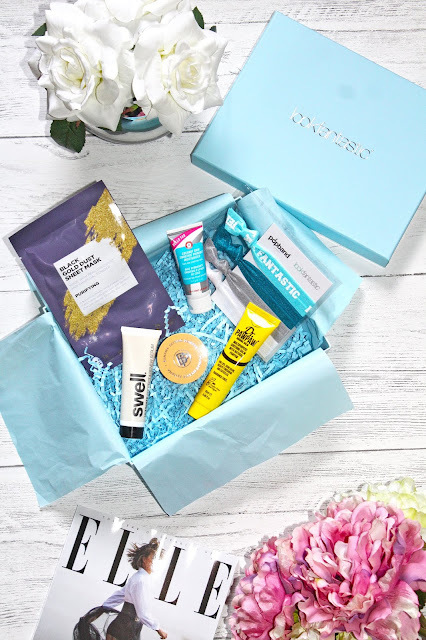 If you haven't seen the others I've linked them here and here where I reviewed GlossyBox and Roccabox Today I am reviewing LookFantastic which I've never tried before and I was probably most excited for this one if I'm honest, purely because I order off their site quite a lot for my hair products and Make Up obvs I was excited to see what would be included. Look Fantastic box cost £15.00 per month and free delivery on a rolling one month subscription and also have the option to choose a 3, 6 and 12 month subscription which will save you a little money. I have linked more information here This was the most expensive out of all the ones I got so I was kinda keeping my hopes up that this would be the best out them all considering the price. Again, Royal Mail deliver these boxes which I was delighted about. 1. Vitamasques Black Gold Dust Sheet Mask | Love a sheet mask !!! 4. Dr Paw Paw Original Clear Balm | I was soooo excited to see this ! Included was a booklet of everything included in the box with instructions on how to use each product but sadly no costs were provided so I can't tell how much this box was actually worth which I was a bit disappointed with. I did Google the Banana setting powder and it's £25.00 so I know I've got more than my money's worth out of this box. What do you think of January's LookFantastic box ? The more I see these boxes, the more I want to subscribe to one! There are many products I've never heard of! That black gold dust mask intrigues me a lot! Will you make individual product reviews?